Since early 2018, tens of women human rights defenders have been detained in Saudi Arabia for their human rights work. Last week, a cross-regional group of 36 States, including all EU Member States, called for the release of detained women human rights defenders in Saudi Arabia. This statement sent a strong message to the Saudi authorities that the Council will hold it accountable for human rights violations. The joint statement at the Council comes at a critical time as the Saudi Public Prosecution announced last week that some of the defenders will be referred to trial. 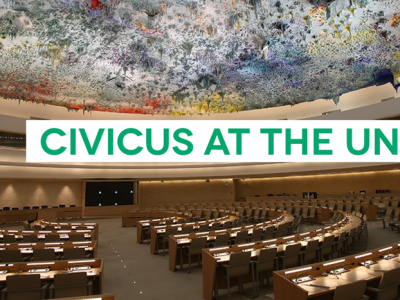 During the interactive dialogue held last week with the UN High Commissioner at the Human Rights Council, 36 States*, led by Iceland, called on Saudi Arabia to release women human rights defenders who are detained for exercising their fundamental freedoms. States also condemned the killing of journalist Jamal Khashoggi and demanded that those responsible be held accountable. International Service for Human Rights, the Gulf Centre for Human Rights, Women’s March Global, CIVICUS and Americans for Democracy & Human Rights in Bahrain - have been advocating for the immediate and unconditional release of Saudi women human rights defenders. 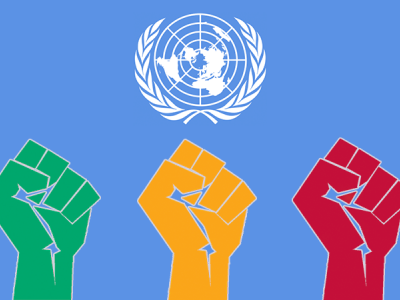 Ahead of the 40th session of the Council, over 50 NGOs called on UN Member States to adopt a resolution at the Council calling explicitly for the immediate and unconditional release of the detained Saudi women human rights defenders and establishing a monitoring mechanism over the human rights violations in the country. Salma El Hosseiny, ISHR’s Human Rights Council Advocate welcomed the leadership of Iceland for this landmark statement and criticised other states who didn’t join; and said that “this was the first time ever States at the Council collectively condemned human rights violations committed inside Saudi Arabia, a country that has until now escaped Council scrutiny despite being a Council member with an appalling human rights record. The Saudi authorities, as Council members, now have an opportunity to engage constructively with the Council and immediately release the defenders. States should follow up on the joint statement by presenting a resolution at the June session if inadequate progress has been made.” said El Hosseiny. "We appreciate last week’s joint statement, a one of a kind initiative that followed tireless advocacy efforts by members of the Free Saudi Women Coalition. It's heartening to see this resolution calling for the release of ten prominent women human rights defenders, some of whom were subjected to severe torture and ill-treatment. Yet, we shouldn't forget that there are many more in prison who can't be named out of fear for potential reprisals to them and their families. Some family members have been targeted already. We will continue to work and advocate to ensure that all defenders are free from prison and retaliation and that their perpetrators are held accountable," said Weaam Youssef, WHRDs Programme Coordinator of the GCHR. 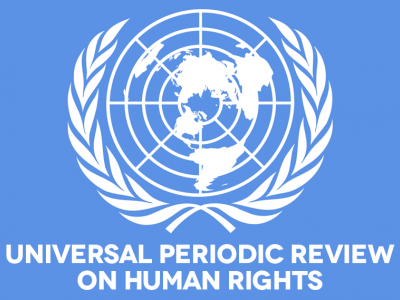 “We welcome this joint statement from members states at the UNHRC,” said Masana Ndinga-Kanga MENA Advocacy Lead at CIVICUS. “We see this as the first step of a much more rigorous process of accountability for complete impunity towards human rights defenders. More needs to be done to protect civil society in Saudi Arabia.” Saudi Arabia is rated closed on the CIVICUS Monitor. "This is a very big step for the 36 member states who have come forward to take - yet we are disappointed that more have not followed" said Uma Mishra-Newbery, Executive Director at Women's March Global. "This step shows that while progress is being made and the work of our coalition is making a difference, more work still needs to be done in holding Saudi Arabia accountable. We are concerned with every passing day at the safety of these activists and hope that member states will continue to keep pressure on Saudi Arabia." "We welcome the joint statement on Saudi Arabia and calling attention to the country's systematic rights abuses. We remain concerned over the ongoing detentions of women rights defenders, journalists, and other peaceful critics of the government. We call on Saudi Arabia to release all prisoners of conscience to undertake serious and good faith steps to bring its domestic laws into line with international standards, in particular the country's overly broad counter-terror law." Tyler Pry, Advocacy Officer, ADHRB. The joint statement called for the release of Loujain Al-Hathloul, Aziza Al-Yousef, Eman Al-Nafjan, Nouf Abdelaziz, Hatoon Al-Fassi, Samar Badawi, Nassima Al-Sadah, Mohammed Al-Bajadi, Amal Al-Harbi and Shadan Al-Anezi. Some of the women have been subject to electrocution, flogging, sexual harassment and other forms of torture. Saudi Arabia has silenced women human rights defenders for decades and those named above are not the only ones in prison, they are just emblematic cases. The decision by the Saudi government to allow women to drive is only a cosmetic change that fails to address the root causes of discrimination against women: the male guardianship system. * The States who signed the joint statement are: Iceland, Canada, Australia, New Zealand, Austria, Belgium, Lithuania, Luxembourg, Netherlands, Portugal, Finland, Germany, Slovenia, Spain, Sweden, the United Kingdom, Ireland, Estonia, Czech Republic, Croatia, Denmark, Norway, Latvia, Montenegro, Malta, Slovakia, Liechtenstein, Italy, Bulgaria, France, Romania, Greece, Cyprus, Hungary, Poland, and Monaco.